The MBTI (Myers Briggs Type Indicator) instrument provides a framework to describe and understand your personality profile. It is based on the work of Carl Jung, expanded and developed by Isabel Briggs Myers and Katharine Briggs. The MBTI instrument assumes we experience one in each of the above pairs as more natural and comfortable and these are described as our preferences. 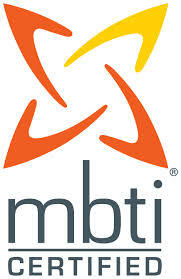 MBTI Assessment & Debrief workshops. These workshops includes the MBTI detailed assessment plus two 2-hour debrief sessions, designed to assist with delving deeper into understanding of self and behaviour and how to use this knowledge moving forward. Our Courageous Leaders programs use the MBTI instrument to assist our participants with understanding and honouring the preferences of both themselves and those around them.